at the end of this month we would like to introduce to you one of the beautiful record which was released more than thirteen years ago. The album belongs to the trilogy of records, which the band IPO introduced themselves in the second half of the nineties. In our blog we will gradually go through each of the three albums and also through reviews, which appeared on the Internet in the time of releasing the records. 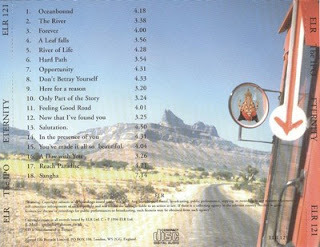 Now we shall have a look on the second album from the year 1996 with the title Eternity. The CD has not yet appeared on our radio, so you have the opportunity to listen to that wonderful record and at the same time read the review. But first of all – who are the IPO or who were they? Below you can find review of their second CD (courtesy Richard Payment) … Enjoy ! 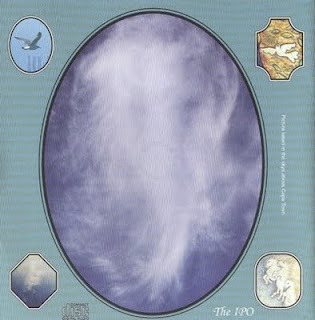 IPO stands for many things – from International People Orchestra to Integrated People Only to Inner Peace Orchestra. This is a ‚loosely-knit, closely connected band of artists who enjoy playing music which points to how we can connect with the „reality behind the everyday“. This is music with a message. The uniqueness of this band is that it is composed of many musicians from all over the world, getting together to compose, sing and play in innumerable styles, in a spontaneous way, but united by a common denominator which is the Spirit. Every one of them is a Sahaja Yogi, a realized soul who reflects the Spirit, and the music of IPO truly carries these vibrations of a divine musical coefficient. One can meditate on their music, as well as simply enjoy it in any moment of the day. People who are practicing Sahaja Yoga meditation will be able to feel the coolness of divine vibrations of the Kundalini energy emanating from such music. 1996 "Eternity". With songs of joy and songs of seeking all but vanished from the lyrics of popular music, the new Sahaja CD „Eternity“ stands out with its clarity of vision. This is more than a collection of songs by aspiring musicians. This is more than a sampler of varying styles and views. 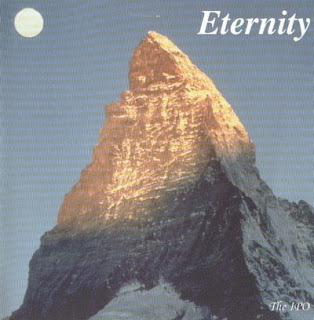 „Eternity“, the new CD and cassette from the musicians known as the IPO, is music with spiritual vibrations. It is music to awaken seeking and to reaffirm for us the truth of what we have found („What you seek, you're meant to find“). From the Beatlesque drive of the opening song, „Oceanbound“ („Now I know exactly what it is I found“) to the simple mandolin-accompanied allegory of „A Leaf Falls“, the album starts with songs of seeking. Often direct („Are you in pain? / Don't you waste another minute / Forever is waiting for you / Just seek the joy of the Spirit / Reality is calling out to you“), often inspirational but dynamically upbeat („River of Life“), the eighteen songs of „Eternity“ are short, all in the three and four minute range of commercial radio. They build one to the next with singular unity. One title, „Opportunity“, has a particularly rich, soulful vocalist („If Heaven has a gate / Love is the key / It's inside of you“). „Here for a reason“ features a progressive jazz horn that brings the whole recording up to a new level. „Only part of the story“ continues the jazz feel with a full big band sound, and then moves into the driving drums and solid rock sound of „Feeling Good Road“. By the second half of the CD we are taken farther along the journey of seeking to true songs of praise and worship, but still we are in the realm of popular music! 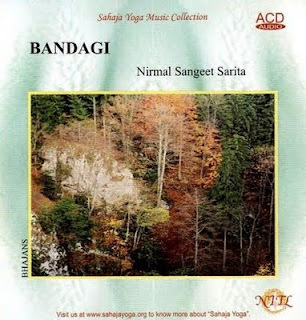 „Salutation“, as the title suggests, offers praises to the divine („The Joy in my heart is You / You are the light in the children's eyes“) with an Indian style violin bringing new depth to a familiar style. Similarly, „In the Presence of You“ introduces spiritual surrender – something you don't hear about much in western music. 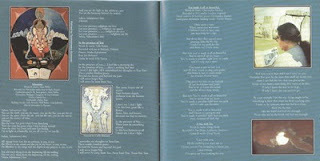 „Reach Paradise“ offers hope: „I pray to my Mother for Love / The purity of a dove / I pray for man to rise / And reach Paradise“. „Eternity“ is a recording of music that will please many people, Sahaja Yogis or not. Its songs of ascent raise the vibrations of the listener and tune into the harmony of the Spirit. The CD concludes with a seven minute guitar and synth instrumental called „Sangha“, mystical and true to the album title, „Eternity“. 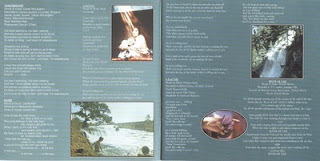 Incidentally this track was recorded at the Royal Albert Hall Programme given by Shri Mataji Nirmala Devi in 1996. This music reflects a Sahaj culture, speaking out in a familiar voice of pop music. It is, simply put, a landmark recording, joyous, fresh, direct. 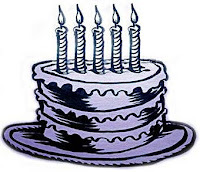 On October 18th, 2009, Sahaja Yoga Radio (sahajayogaradio.org) is celebrating five years of online broadcasting. Thousands of Sahaja Yoga music tracks, podcasts, interviews belong now to the radio library. In one month, the radio is accessed around 8000 times totaling to a 2500 hours of broadcast to over 80 countries. The blog (blog.sahajayogaradio.org) is promoting the art of Sahaja Yogis, having many daily visitors.